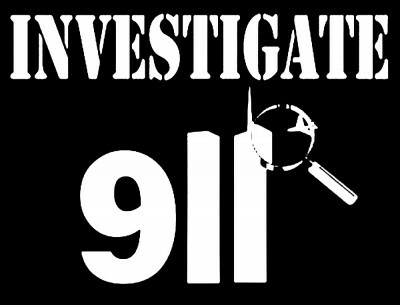 In this exclusive interview Kevin Ryan, a 9/11 Truther and author of Another Nineteen: Investigating Legitimate 9/11 Suspects, speaks of: the classified 28 pages lately heralded by the mainstream media, and their contradictions; the unsustainable 9/11 official story, the failed Bush’s Comission, and what must be investigated to find the truth; the coverage of the media and the state of mind of Americans today, regarding to 9/11; and his prospects given the current presidential candidates, to seriously investigate the 9/11 attacks, and to make justice to the victims. Kevin Ryan, thank you so very much for granting me this interview. It’s really an honor to me. Would you please describe your activities in the 9/11 truth movement? I’ve been a member of several organizations that sought to reveal the truth about 9/11. I’ve been a founding member of Scholars for 9/11 Truth & Justice, and the 9/11 Working Group of Bloomington. I’ve also served as a board director at Architects and Engineers for 9/11 Truth. I’ve given presentations and otherwise collaborated with 9/11 family members, and I remain friends with some of them. Their courage and determination is inspiring to me. I’ve been the co-editor of the Journal of 9/11 Studies since 2006, the year it began. In that time, I’ve had three partners who helped me to publish about 150 peer-reviewed articles and letters on the subject of the 9/11 crimes. What is the evidence concerning the Saudi government’s involvement in the 9/11 attacks? People cite the testimony of Zacarias Moussaoui, who was reported to have pointed the finger at several Saudi princes as being sources of al Qaeda funding. Apart from that, we know that the alleged 9/11 hijackers were given support, financial and otherwise, by certain Saudis. This included Omar Al-Bayoumi, a suspected Saudi spy and an employee of a Saudi aviation company, who set-up two of the suspects in an apartment and paid their rent. Al Bayoumi and another suspected al Qaeda operative, Osama Basnan, received regular financial support from Saudi princess Haifa bint Faisal, through payments from Haifa to their wives. There are also many remarkable Saudi links to 9/11 that suggest that powerful people in the United States might have been involved in the crimes. For example, facts about Stratesec, the company that had security contracts with several of the facilities impacted that day, link the Saudis to 9/11. Stratesec held its annual meetings, where it elected directors like Marvin Bush to its board, in Saudi leased offices at the Watergate complex. Stratesec’s chief executive, a man named Wirt D. Walker who was suspected of 9/11 insider trading, used that same Saudi office as the official address for several of his other businesses. This included Aviation General, a company that operated out of a hangar in a small airport in Oklahoma City that is now occupied, coincidentally, by Zacarias Moussaoui’s flight trainer. On a simpler level, of course, 15 of the 19 accused hijackers were Saudi citizens. However, there is a great deal of evidence that these men engaged in distinctly non-Muslim behaviors—doing drugs, drinking alcohol, and going to strip clubs. Moreover, some of them appeared to be protected by the authorities during their time in the United States. What is the evidence that the supposedly censored 28 pages of the official 9/11 report, says about the Saudis? The report of the congressional Joint Inquiry into 9/11 made many references to Saudi Arabia but the actual evidence provided was slim. Many of the references questioned Saudi cooperation with U.S. authorities in investigations related to al Qaeda. Ironically, these Saudi references were made by people like former FBI director Louis Freeh, who is suspected of having facilitated terrorism, and former National Security Advisor Sandy Berger, who was later caught stealing documents that the 9/11 Commission had requested from the National Archives, and counter terrorism lead Richard Clarke, who is known to have leaked secret plans to capture Osama bin Laden on several occasions prior to 9/11. The Joint Inquiry report also mentions “al Qa-idi leader Abu Zubaydah” as having recruited for al Qaeda in Saudi Arabia. Later, when responding to a habeus corpus petition, the U.S. government retracted its claim that Zubaydah had any relationship to al Qaeda. Neither the Joint Inquiry nor the 9/11 Commission, which both relied on that claim as fact, revised their reports after this amazing revelation. And at least one of the Commission’s leaders seemed to acquire amnesia about Zubaydah. We’re now left with remarks made by former Senator Bob Graham and others who have seen the redacted 28 pages. They make comments that suggest that Saudi Arabian leaders were involved in financing the attacks. Whether these comments refer to information already known, like the payments made by Princess Haifa, or something else will not be clear until we see those pages. But it’s important to note that Graham was among the people who initially worked to delay any investigation into 9/11. More importantly, continued access to the natural resources of Saudi Arabia is of paramount interest to U.S. government leaders. It seems that the calls for release of those 28 pages are more about controlling the Saudi government, and thereby U.S. access to those resources, than they are about getting to the truth about 9/11. How do you evaluate President Obama’s recent allegations that allowing family members of 9/11 victims to sue Saudi Arabia for its complicity in that crime, would set a terrible precedent that would open the United States up to lawsuits from abroad? President Obama’s actions, including his recent visit to Saudi Arabia and his vow to veto the bill that would allow the Saudis to be sued, appear to put him in the role of good cop in an ongoing bad cop/good cop routine. He’s letting them know he’s on their side while his colleagues in Congress and the corporate media are making threats about release of the 28 pages. It’s a balancing act meant to keep the new Saudi King and his younger advisors under control while helping them understand that their country can be controlled through propaganda-driven force if necessary. The U.S. laws around sovereign immunity have been the basis for rejection of the 9/11 victims families’ lawsuits in the past. The Obama Administration predicts that, if changes to these laws are made, the U.S. would be open to lawsuits by the many foreigners it has offended, for example the victims of the Iraq invasion and occupation. The only exception to the law is that citizens can sue a foreign government that is cited by the U.S. as a sponsor of terrorism. Therefore if the Saudi government is made an exception by linking it to terrorism, the U.S. would not have to change the law and face that risk. These questions seem be part of the political initiative that U.S. leaders are now engaging in to control the Saudi government. What would be the House of Saud’s interest on helping a terrorist attack like 9/11 in the US, Kevin? The Saudi regime sees enemies everywhere and uses its relationship with the American war machine to protect itself from those enemies. The House of Saud has collaborated with the U.S. since the 1930s but, in the 1970s, that relationship grew to include the support of off-the-books covert operations through an organization called the Safari Club. President George H.W. Bush later helped to create closer ties between Saudi Arabia and CIA operations through the CIA’s terrorist financing network BCCI. That private network funded the Mujahideen in Afghanistan and was the precursor to al Qaeda. Bush’s close, personal friend Prince Bandar (Bandar Bush) has been at the center of Saudi-supported terror since before 9/11. Kevin, we see some deep contradictions in the 28 pages context: it states that Al-Qaeda was behind the 9/11 attacks, which is disproved by Architects and Engineers for 9/11 Truth. Secondly, the mainstream media, which has forgotten long ago the 9/11 attacks and has refused to investigate their implications, now strangely herald the 28 pages. ‪”The two key figures behind this new wave of propaganda are former Senator Bob Graham, who led the joint inquiry of the Senate and the House intelligence committees together with Rep. Porter Goss, a career CIA official who was subsequently appointed Director of National Intelligence (DNI) by the Bush administration. ‪”Graham coordinated the drafting and editing of the report including the 28 classified pages on Saudi Arabia. ‪How do you evaluate these facts? Professor Chossudovsky tells us that al Qaeda is a creation of the CIA. This doesn’t mean that al Qaeda does not exist but that al Qaeda is an enemy controlled by the people who claim to protect us from it. Playing both sides again, as with Democrats vs. Republicans and Jew vs. Muslim, the powerful few can easily deceive the public through this kind of dualistic propaganda. The article you cite from Chossudovsky uses as its basis my own, earlier article on the subject. Therefore we are in agreement on the issue for the most part. However, I see the 28 pages as not just a red herring that propagates the myth that “Muslims did it,” which we know to be untrue, but also as a means of controlling the Saudi regime. The media still says about “19 hijackers”, most of them Saudis as 7 of them are confirmed to be alive. So the hijackers’ number must be changed, mustn’t it? And how do you see the fact that the FBI announced some allegedly suicide terrorists on the planes who soon later appeared alive in North Africa and the Middle East? In the weeks after 9/11, mainstream news sources reported that some of the accused hijackers were still alive. These claims were reported by major media sources like The Independent, the London Telegraph and the British Broadcasting Corporation. Although the BBC attempted to retract the claims later, the Telegraph reported that it had interviewed some of these men, who the newspaper said had the same names, same dates of birth, same places of birth, and same occupations as the accused. Although there has been speculation about stolen identities, no one has successfully explained the discrepancies around the reports of the alleged hijackers still being alive. One particularly weak attempt, cited as the primary source at Wikipedia, was an absurd hand-waving piece in Der Spiegel that used “U.S. Historian Daniel Pipes” as the authority. Not mentioned is the fact that Pipes, a second-generation neocon and Project for the New American Century signatory, is arguably the world’s leading Islamophobe. More importantly, reports that the accused men were still alive were not investigated by the FBI or by the 9/11 Commission. Even the new Director of the FBI, Robert Mueller, publicly expressed doubts about the identity of the hijackers. Yet to this day there has been no official response to these contradictions despite their high relevance to the overall investigation. You say that “in the U.S., the mainstream media tends to focus the story on Saudi Arabia alone”. Why so? When the mainstream media reports on unanswered questions about 9/11, it is usually very limited in scope. We never see stories about firefighter testimonies to secondary explosions in the WTC buildings, or investigation into the military exercises that obstructed the air defense responses that day. We don’t hear about how seventy percent of the 9/11 victim’s families’ questions went unanswered in the official account. We only hear hints that Saudi Arabia might have been involved in financing al Qaeda. Although that is probably true to some extent, saying that such a revelation will bring us the truth about the 9/11 crimes is like saying that the truth about cancer is that it is caused by tumors, without ever questioning how tumors arise. There is, in both cases, much more to the story. Saudi Arabia has the largest oil reserves in the world and the U.S. economy is critically dependent on Saudi stability and the supply of this vital resource. Maintenance of the U.S.-Saudi relationship and the pricing of oil in U.S. dollars is a very high priority for U.S. leaders. It’s fair to say that anything that U.S. government leaders say about Saudi Arabia is tied to maintaining this relationship and petrodollar system. This, in my view, includes the calls for release of the missing 28 pages. Professor David Griffin mentions in his book The New Pearl Harbor: Disturbing Questions about the Bush Administration and 9/11, that the US government has been the main beneficiary of the attacks. You also mention in your book Another Nineteen: Investigating Legitimate 9/11 Suspects that the official accounts are false. To your mind what could be the US government interests on 9/11 attacks? Do you believe they were a “new Pear lHarbor” to Washington as the 2000 Project for the New American Centrury pointed out US needed? I agree with Professor Griffin’s main point, yes. The crimes of 9/11 were a pretext for wars of aggression that had already been planned and that were meant to consolidate power through the seizure of natural resources. The exercise of that new power has been through the American war machine but the actual beneficiaries are transnational corporations and the people who own them. An example of such a corporation that benefited from the attacks was Science Applications International Corporation (SAIC). You mentioned that “the 9/11 victims families questions went unanswered in the official account”. You also says in your book that a new investigation into the crimes of 9/11 is required. Would you please point out the questions which remain unanswered? The unanswered questions from the Family Steering Committee for the 9/11 Independent Commission can be found online. The questions are pointed toward U.S. leaders who were completely ineffective in protecting the nation. As I showed in my book, these same men either facilitated terrorism or inexplicably failed to respond when the nation was attacked. The broader questions that remain unanswered include: Why did the U.S. chain of command not respond to the attacks? None of the top leaders did anything to protect the nation and many of the most important people were missing from their posts. Also, why did the North American air defenses fail, with hijacked planes flying around the country for two hours with no interceptor jets catching them, as is the usual case? This question is complicated by the fact that four different official accounts were given for the air defense failures, each contradicting the previous one. Similarly, several different official accounts were provided for the unprecedented destruction of three tall buildings that day but none of those explanations ever considered the obvious hypothesis of controlled demolition. The demolition hypothesis is now supported by a great deal of evidence so we must ask—Who placed explosives in the WTC buildings? How can these questions be answered? What measures do families and activists like you claim to be taken? These questions can be answered by investigation. However, since we have had several U.S. government investigations that failed to answer most of the questions, we need independent, or perhaps international, investigation. There is much that independent investigators can do to reveal more of the truth. 1 What more can we learn from the official accounts about transponder and autopilot use on 9/11? 2 Who was invited to the explosive disposal/terrorism meeting at WTC 7 on the morning 9/11 and what was the agenda? 3 What do the strip clubs, bars, and other businesses frequented by the alleged hijackers have in common? Would you please comment each of these points, Kevin? These are just some example questions for independent investigators. The first one deals with how the planes were hijacked and why there was no response. People often misunderstand, thinking that the hijacked planes’ transponders were all turned off and therefore the planes could not have been tracked. This claim fails to recognize that authorities had been tracking drug-running planes via radar for many years. More importantly, Flight 175 never turned off its transponder. This was the second plane that hit the WTC and its transponder was on the entire time as the air defenders watched it on screen. Therefore they knew it was off course. It flew hijacked for 20 minutes after the first plane hit the WTC (about 45 minutes after the first hijacking was known to FAA leadership). As far as autopilot goes, it is interesting to note that, according to the official flight path study, the autopilot for Flight 77 stayed on as the plane was hijacked and throughout its 180-degree turn back to Washington. It’s seems that either the turn back to Washington was part of the planned flight path or the autopilot was commandeered instantaneously. The second question relates to a meeting that was called by Larry Silverstein and the Secret Service at WTC Building 7 on the morning of 9/11. Explosive disposal units from U.S. military installations had been invited to the meeting. Was this just another incredible coincidence? We need to know more about it. The third question centers on the accused men. The facts we know about them show that they behaved quite differently from what the government has proposed and they were clearly not Muslims. Who supported them? On what points did the 9/11 Commission fail? As stated before, the 9/11 Commission failed to answer 70% of the questions posed by the 9/11 families that were responsible for driving the creation of the Commission. It is also important to realize that an outline of what was to become the 9/11 Commission Report was produced before the investigation began. The outline was kept secret from the Commission’s staff and appears to have determined the outcome of the investigation. Additionally, the Commission claimed over and over again, 63 times to be exact, that it found no evidence related to many of the most important aspects of the crimes. These facts suggest that the Commission never had any intention of revealing the truth about 9/11. Does evidence point 9/11 to be an inside job? By “inside job,” most people mean that Americans in positions of power were responsible for carrying out the attacks. That viewpoint is hard to disagree with, considering that people outside the United States could not have accomplished what needed to be done. For example, only Americans could have caused the U.S. chain of command to fail and only Americans could have disabled the air defenses. In another sense, 9/11 continues to be an “inside job” in that many Americans will not even look at the evidence of the crimes. They simply cannot consider the implications that follow from the idea that we don’t know who attacked us on 9/11. The psychological barriers are too great. How’s the state of mind of the American society in general, concerning the struggle for 9/11 investigation? Unfortunately, many Americans are not interested in anything that questions their blind allegiance in government. For some, too many of the institutions of life would be brought into question if the facts about 9/11 were known. They would have to question why so many people failed to do their jobs including those within the justice system, the media, the universities, and law enforcement. That would leave them with no comfort zone psychologically and, therefore, many people cannot take that path. How do you see the coverage of the media, both the mainstream and the alternative, of 9/11 investigations? How could the media act in order to be really an effective support for 9/11 truth? So why has the media been failing through the years concerning to 9/11 truth? In today’s society, the media is not a tool for informing the public. It is entertainment and propaganda. People are not entertained by questions that seriously challenge the major institutions of their lives. And it is not in the interest of the media, which is now almost entirely owned by just few large corporations, to give them the truth. How can GE sell weapons if its NBC division is telling people the truth about war? There are ways to generate a more objective and responsible media, I think. But that requires people o go through more painful times in which they are forced to see the deception in their lives. Perhaps the next big terrorist attack will lead to a call for more factual reporting. What is your expectation concerning to the current presidential candidates in order to take 9/11 investigation seriously in the years to come? None of the presidential candidates will do anything to challenge the official account of 9/11. If they did, we would never hear about them in the corporate media.